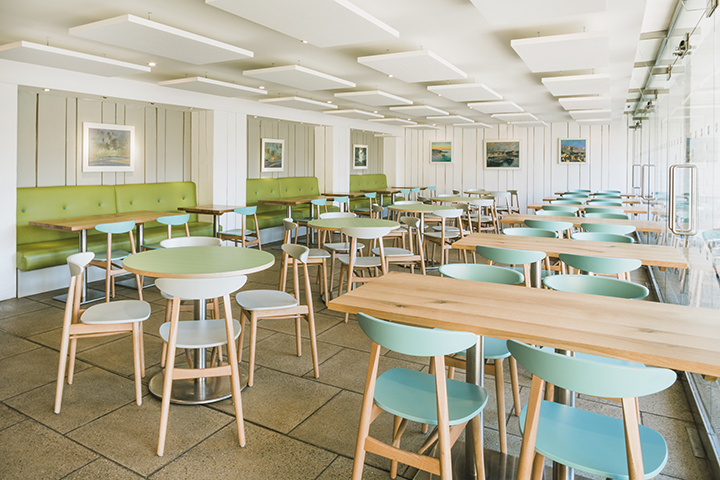 National Trust Trelissick Garden cafe has a fresh new look bringing the dining experience in line with a stroll round the gardens and grounds. 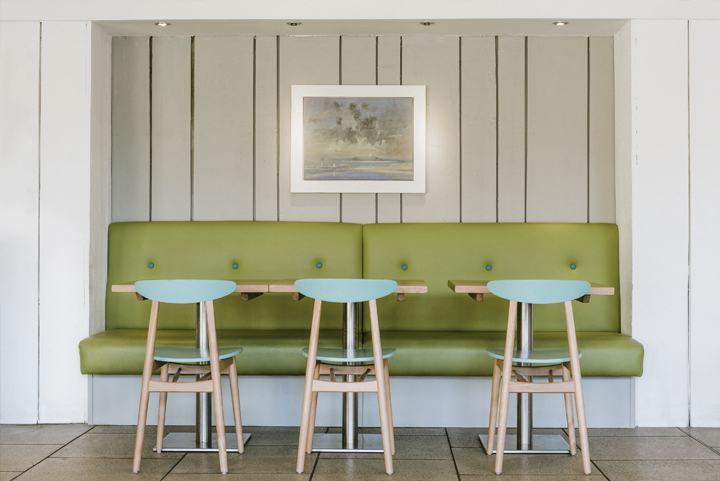 Working with their in house team we put together a collection of furniture and finishes in warm, muted tones that were sympathetic to their brand colours and reflected the tone of the visitor experience. In addition accoustic panels have been added to soften the sound of conversation on days when the cafe reaches maximum capacity. As approved suppliers of the National Trust we were able to manage the specification, procurement, delivery and installation of the furniture which included bespoke table tops by MARK Product creating a centre piece to the room with a detailed geometric graphic.